This week, we took a look at Praying through the Bible. 1) God’s Word shows us God’s heart. 2) God’s Word delights us. 3) God’s Word shows us how God does stuff. 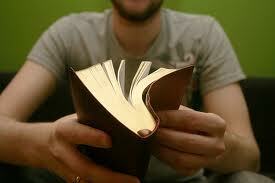 4) God’s Word pierces our heart. 5) God’s Word reflects God’s plan for history. 6) God’s Word re-sets our expectations about life. 7) God’s Word will fire up your prayer life. What are 2-3 things that God is highlighting to you regarding praying through the Bible? Are there any failures from the past that you need to lay down this morning? Is God prompting you to do anything differently this week? This entry was posted on Sunday, September 16th, 2012 at 10:35 pm and is filed under CONNECT, Prayer, The Bible. You can follow any responses to this entry through the RSS 2.0 feed. You can leave a response, or trackback from your own site.